Hello everyone, welcome once again to this awesome blog. Where we try to teach you the inside and out of dental health and dental treatment. Today I want to cover the topic of one of the most common process in dentistry, the root canal. I know for sure many of you have needed a root canal at least once in their lives. One thing is certainly sure and it is that it is a cool treatment necessary for recovering that precious smile drom the ruin. On a brief side note, I know that some of you may be reading this thinking about getting a root cana l in Los Algodones. Let me say that you are definitively in the right place, here at Dental Solutions you will find excellent prices in dental treatment such as root canal. With the most friendly and prepared staff, fluent in English and the latest in technology in our facility so you can smile with pride once again. Send us a message or give us a call so you can set up your appointment now! Remember that our prices are up to 60% less than the US and Canada, do not let this chance slip away from your fingers! First it is important to know some about the tooth’s anatomy. Inside the tooth there is a section called the pulp, where the nerves end up connecting. This is what it makes us feel hot and cold on our teeth, and it is very important to our dental health. When the pulp gets infected it can compromise the entire tooth and mouth. This infection can be caused due to the lack of dental hygiene. If you are neglecting your dental hygiene routine such as brushing your teeth twice a day, flossing and rinsing, chances are that bacteria will cause havoc. This leads easily to cavities, and then those germs and bacteria get to the pulp and infect it. That is why patients feel excruciating pain and are in need for a root canal as soon as possible. First of all, the procedure has to be performed by a endodontist, a specialized dentist in the field. Then after an evaluation the endodontist will apply local anesthesia so the patient cannot feel any pain during the procedure. It is important that the patient do not feel a thing so both can work comfortably. 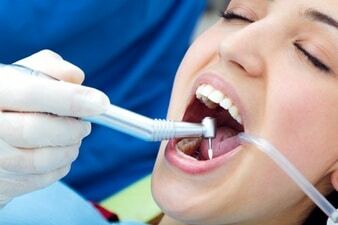 It is normal that the root canal treatment is completed after 2 days. After sedating the patient, the dentist can begin using a drill to exposes the tooth’s pulp. It uses files to remove the deceased pulp and wash away the remaining. After that he or she will disinfect the area using antiseptic solution to kill all the bacteria. After cleaning all up the dentist can use filling to leave your tooth as good as new. Another solution is to use a post to place a crown over the tooth. It is a more aesthetic solving and it is a permanent one. The most important thing to notice is that after the treatment the patient has to maintain a good dental hygiene. Remember to visit your dentist twice a year for checkups and cleaning so your tooth can look and feel amazing after the root canal. Remember to consider us at Dental Solutions in Los Algodones Mexico and have a nice weekend!